I thought that readers might like to know that Michael O'Neil from the Miracle Hunter website will be conducting a new interview tonight with the reporter who initially broke the story on the Alqosh apparitions, Jeff Gardner. It will be broadcast on Michael's weekly show on Radio Maria at 4.00 CST (which can be found here), so hopefully he will be able to provide a few more details. Some commentators on the previous post have refined the image to make it a bit clearer (above and below), which I thought I would put up here for others to see. 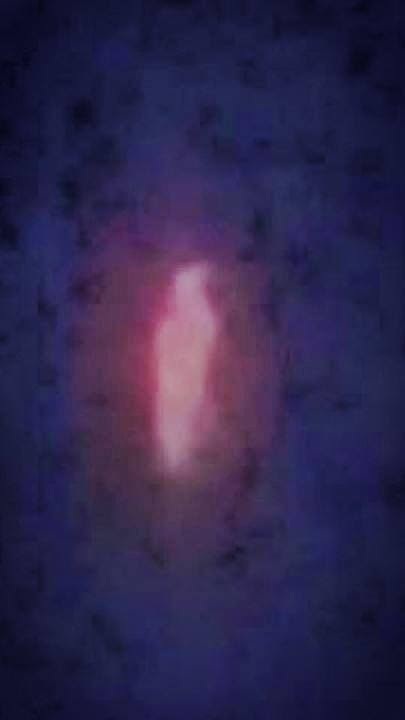 The Drew Mariani Show on Relevant Radio has just aired a report discussing recent sightings of the Blessed Virgin Mary in Northern Iraq (see here for the full broadcast). 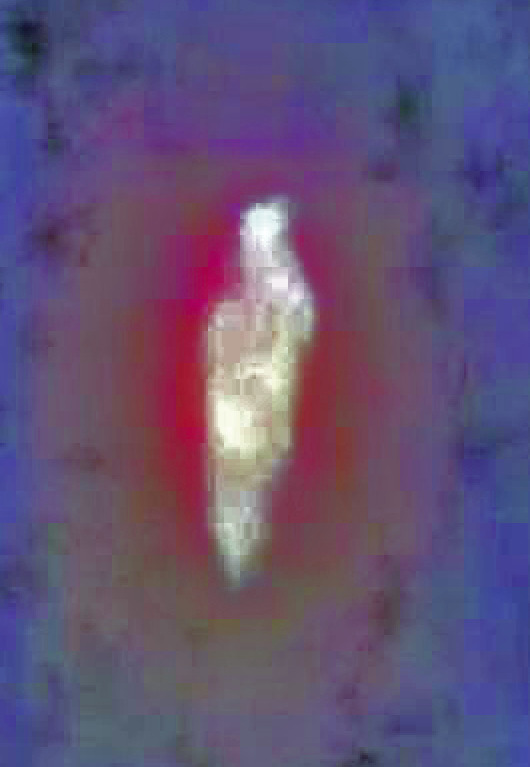 These apparitions, which occurred over the town of Alqosh on the night of Wednesday, January 21st, 2015, have been compared to those of Our Lady of Zeitoun in Egypt, given that they are apparently to be classed under the rare category of visio sensiblis, whereby they are fully visible to all present, and can even be captured on camera. Information on these apparitions are rather scarce at the moment, as given the current situation in Iraq with the scourge of ISIS, reporters are very thin on the ground. 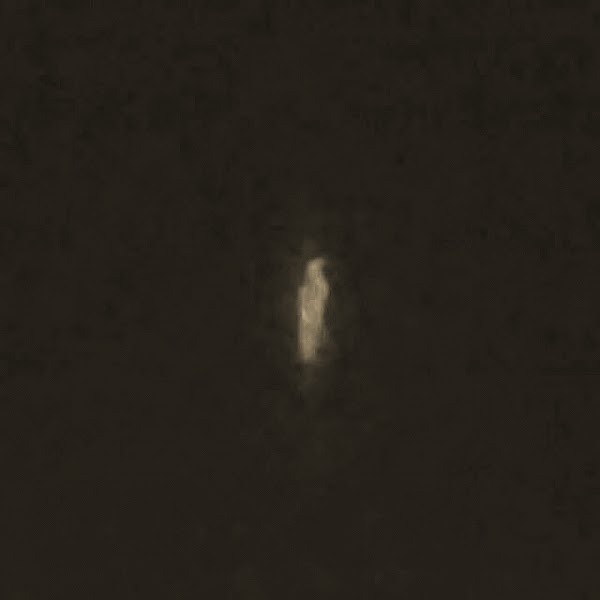 Drew Mariani's guest Jeff Gardener, visited the scene shortly after and compiled a series of eyewitness reports and was given some photographs of the apparitions themselves. 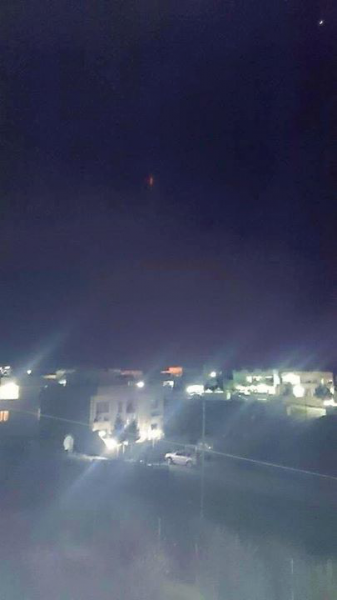 It appears that the Blessed Virgin was seen in the sky, fully visible to the masses on the ground, over the Assyrian Christian town of Alqosh, which is one of the only regions in this part of Northern Iraq that has not succumbed to the threat of ISIS. A common theme throughout the apparitions of Our Lady of Zeitoun, and other related apparitions in Egypt was that the location and timing of the apparitions themselves were a key component in conveying their true significance. The apparitions in Egypt have all occurred in locations associated with the flight of the Holy Family into Egypt to escape from King Herod's Slaughter of the Holy Innocents. The main appearances of Our Lady of Zeitoun also first began to coincide exactly with the legalization of abortion in the United Kingdom in April 1968, which paved the way for this policy to be adopted throughout the Western Hemisphere (see my earlier post on this subject Our Lady of Light and the Apocalyptic Nativity). So the central "message" of these apparitions were a warning that humanity was about to commit a new "Slaughter of the Innocents" on a massive, worldwide scale. While little is known of the Prophet Nahum himself, the central thrust of this book focused on the impending destruction of the ancient Assyrian city of Nineveh, much like the Prophet Jonah. Only while the Ninevites to whom Jonah preached circa 786-746BC repented and were spared when Nahum issued his oracle warning of the imminent destruction of Nineveh around 615BC, the city soon met its ultimate downfall at the hands of the Medes and Babylonians. The timing of this recent apparition seems to be of great importance here, as the site of ancient Nineveh now houses the city of Mosul, which was taken last year by ISIS, who set about the destruction of the tomb of the Prophet Jonah on July 24th, 2014. Does this new apparition augur the destruction of the city of Mosul as Divine Retribution for this desecration? The apparitions took place at the start of a US led operation, backing Kurdish forces to take back the city of Mosul, which began on this exact date - 21st January, 2015. 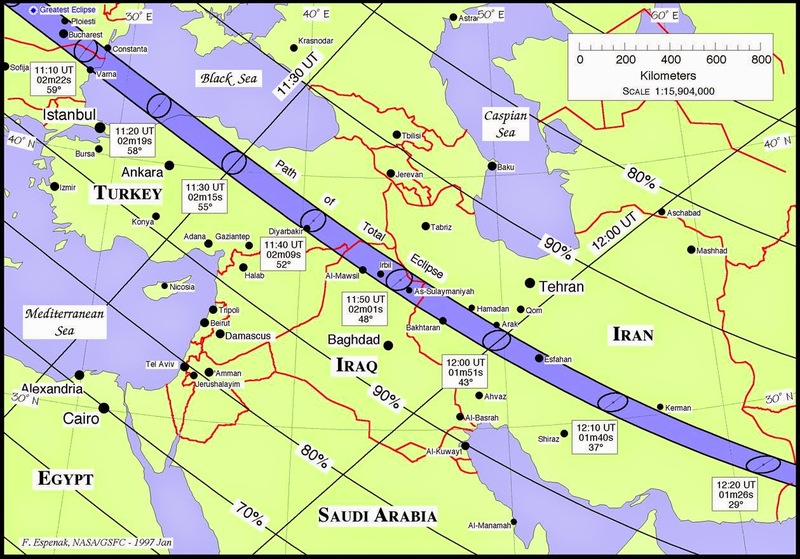 As we have noted on several posts previously, the site of ancient Nineveh lay in the path of the 1999 solar eclipse, which I argue in my book Unveiling the Apocalypse, was part of the "signs in heaven" foretold in the Book of Revelation, which include a total solar eclipse, accompanied by an earthquake, as well as a total lunar eclipse, a meteor shower, and the appearance of a sign involving "blood, fire and columns of smoke" (see the earlier post "Signs in the Sky"). 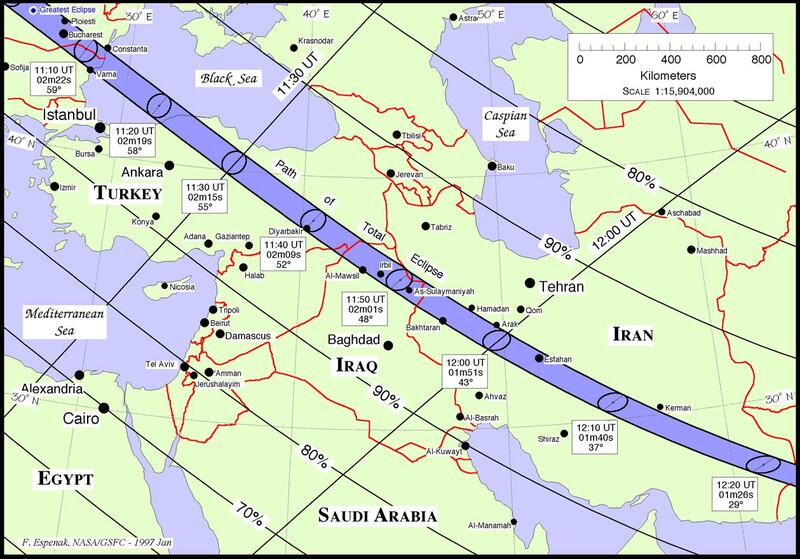 Another interesting link between the 1999 solar eclipse to the apparitions of Our Lady in Egypt can be found in the fact that the apparitions of Our Lady of Assiut in the Great Jubilee Year 2000 on August 17th, occurred on the exact anniversary of the Izmit earthquake, which took place in Turkey on 17th August, 1999 - just days after the eclipse had also passed by this area on August 11th before moving on to transverse the site of ancient Nineveh. The location of Izmit itself was highly significant in the fact that this is the site of ancient Nicomedia - the location where the Roman Emperor Diocletian issued his first Edict against Christians on February 23rd AD303, beginning the Great Persecution. 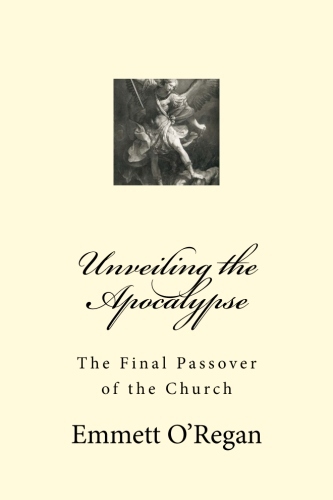 The Diocletianic Persecution saw the most intense attack against Christians established throughout the majority of the Roman Empire, and in many ways reflects the coming Great Persecution of Christians under the Antichrist, which was foreseen in the Third Secret of Fatima (first published at the turn of the millennium on 24th June 2000). It is of some import here that the city of Nineveh was founded by the biblical King Nimrod, who according to tradition was the builder of the Tower of Babel. As I have argued at some length in the previous post The Angel of the Seven Thunders, the miraculous reversal of the confusion of tongues at Pentecost, pointed to the significance of the story of the Tower of Babel and how this event would figure once again in the Second Pentecost. We have also noted in this post the connection between the "blood, fire and columns of smoke" quoted by St. Peter at Pentecost in Acts 3 as being part of the "signs in heaven", and how this ties into the events of 9/11 at the turn of the millennium, which were accompanied by the astronomical signs which took place on the millennial anniversary of the birth of Christ (prefigured by the Protoevangelium and the crushing of the head of the Serpent). It seems of some importance here then that the events of the destruction of the Twin Towers have directly led to the current situation at the site of ancient Nineveh, with the occupation of Mosul by ISIS. The fact that the 1999 solar eclipse passed through the site of ancient Nineveh at Mosul prompts us to compare this to the "sign of Jonah" mentioned by Christ. Whatever the case may be, these recent reports of the Blessed Virgin Mary near the site of ancient Nineveh, in the hometown of the Prophet Nahum (who prophesied that the destruction of this city would be a sign of the future conversion of Israel), suggests that the significance of the events at the turn of the millennium has ongoing repercussions that are still felt today, and will have a profound impact on the future. At the beginning of January, the Daily Mail had reported that ISIS were threatening to destroy the historic 2,700 year-old city walls and gates of ancient Nineveh (one of the most important archaeological sites in Iraq), if the Iraqi army attacked the city (see here). These are the very walls and gates of ancient Nineveh that the prophets Nahum and Jonah would have laid their eyes on as they entered the city. 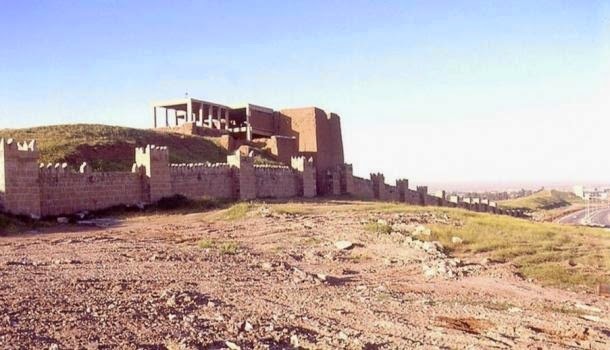 There are now reports that ISIS began to detonate the walls of ancient Nineveh on January 28th, 2015, following the assault on January 21st, and have reduced huge sections of this historic site to rubble (see here).